V. Joy Palmer: WhiteFire Scavenger Hunt Stop 8!!! WhiteFire Scavenger Hunt Stop 8!!! ~ Take your time! You have all weekend to complete the Hunt—entries will be counted until Monday June 26—so have fun reading all the posts along the way and getting to know each author. ~ Lots of extra prizes! Many of the authors are featuring unique giveaways as well, for even more chances to win! ~ Submit your entry for the grand prizes back at Roseanna White’s blog. Hi everyone! *waves awkwardly* I'm Joy. I'm an awkward bookworm, purple fanatic, and Gilmore Girls groupie. 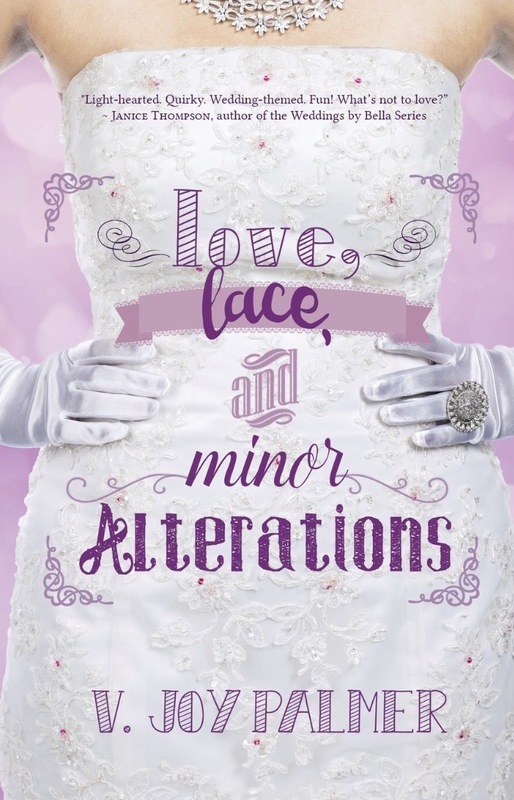 I'd like to share a little about the story behind the story of my debut novel, Love, Lace, and Minor Alterations. One of the key ingredients to this story is trust in God, something I excel at. Not. When I started writing this story, I was very single. I tended to binge-watch Say Yes to the Dress, and fret about my lack of love life. And I loved this guy. We’ll call him “Luke.” And Luke cared about me, too. Had for years. But we had never pursued it because we went to a small Christian school where dating was a capital offense. The unofficial plan was that we would pursue a relationship once we had both graduated. That day came, went, and many months flew from the pages of the calendar. I thought this was God’s plan, but nothing was happening. I had a lot of those “God, come on!” moments. One day I started venting my frustration writing, and Izze, my main character, started chattering in my head. 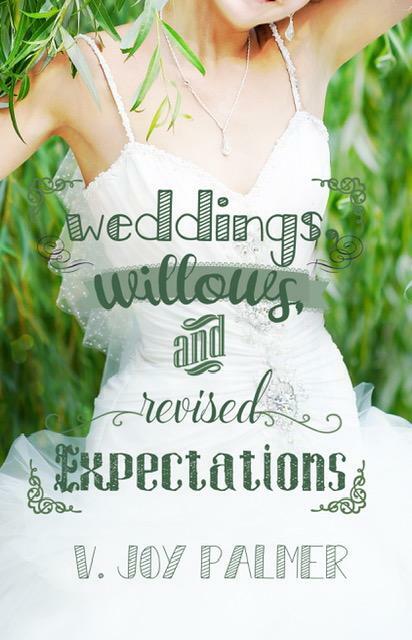 I’d always been obsessed with weddings, and the idea of a single woman in the wedding business who wanted to get married and was fed up with the leading man seemed to be right up my emotional alley. I started and stopped and rewrote this story many, many times. During one of the “stopped” phases, this guy FINALLY asked me out. But it was really awkward and weird. However, I was still sure this was just a dead squirrel on the path to Happily Ever After. Three days later, Luke said we should just be friends. Naturally, I binge-ate a lot of chocolate. What followed was a particularly confusing and painful season for me. God and I may have exchanged some angry words… Okay, they were my angry words. But the more I turned to God, the more He whispered this message to my heart of hearts: I needed to trust Him. This was SOOO not easy, especially when Luke started volunteering at the youth group where I was a youth leader, so I had to see him even more. I tried bargaining like, “God, if I trust you, then You need to do this for me.” Shocker, but that didn’t work. I just needed to trust God and put Him first in my life. He would sort out the details. And He showed me again and again that He was – and is – trustworthy. Today, that guy and I are married. Four years in August, and we have a beautiful little girl. I don’t regret our separation. In fact, I’m actually glad it happened because it taught me to rely on God in a way I never had before. My husband went through a similar journey with God, and I believe we are stronger together because we learned to trust God when we were apart. When people read Love, Lace, and Minor Alterations, I hope they laugh a lot and enjoy Izze and Miles’ story. But most importantly, I hope they see that they can trust God with their hearts. Because He has the very best in store for them. He loves to give us beauty for ashes. You can order my book at Amazon, Barnes & Noble, and Books-A-Million! Clue to Write Down: AND if you want the TRUTH, then you'd better read this sentence twice. Hehehe ;-) Yes, the clue is "and truth,". Be sure to check out Stop #9 with June Foster! But wait, there's more! Now it's time for my giveaway! 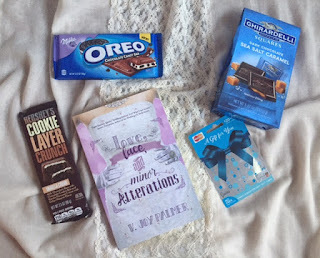 >>> US Giveaway ~ 1 Signed copy of Love, Lace, and Minor Alterations, a $20.00 Gift Card, an Oreo Chocolate Candy Bar, a Hershey's Cookie Layer Crunch Vanilla Crème Bar, and a Bag of Ghirardelli's Dark Chocolate Sea Salt Caramel Squares! 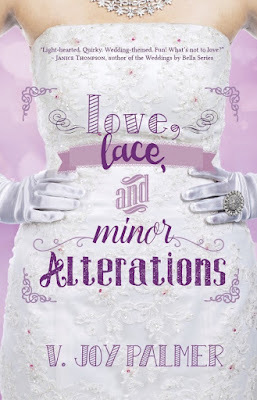 >>> International Giveaway ~ 1 eBook Copy of Love, Lace, and Minor Alterations! My giveaway will run from today, Thursday, June 22nd, through Monday, June 26th. 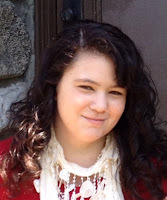 V. Joy Palmer is an avid blogger and co-founder of Snack Time Devotions. She is a youth leader at her church, and loves acting crazy and drinking coffee with the teens. When Joy isn’t urging the elves that live in her computer to write, she’s hanging out with her husband, their adorable baby girl, and their socially awkward pets. I absolutely love your site. It is beautiful! And, I am buying your book. Sounds so good. Lovely blog, Joy. 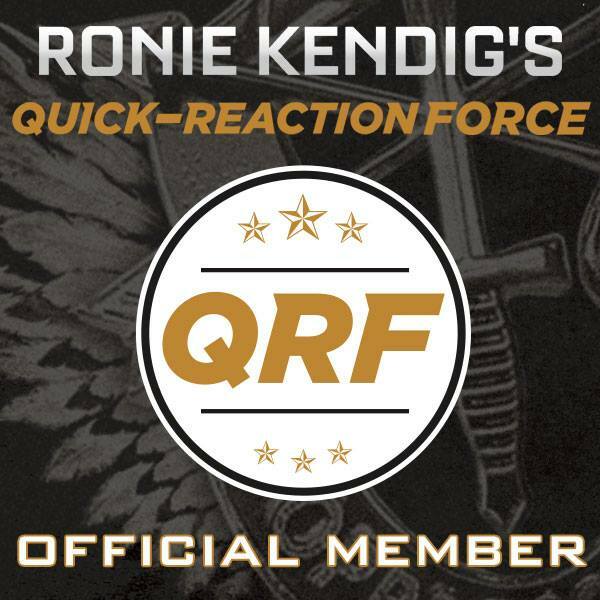 Great to have you as a new family member of WhiteFire. Thank you, Amber! It's always reassuring to know that I'm not the only one who does that to God! Haha! I enjoyed reading your story and I have added your book to my leaning tower of #tbr reads (I may have slipped you in near the top...shhh! Don't tell the others). Joy, I love the title of your new book. And a great romance. Best wishes with your sales. Thank you, Lynda! Love that! <3 It's definitely a lesson we all seem to learn (or in my case, relearn a hundred times) on our walk with God. I enjoyed reading about your experience, Joy. Thanks for sharing. I've heard great things about your book. It's on my wish list. Hopefully, I can get to it soon. Oooooh!!! I love chocolate! Enjoyed your post! Yes! I could never make it without trusting Him! I'm pretty sure I would implode without Him! Thank you for stopping by, Susanne! Every day He's asking me to trust Him. Yup, everyday is a mess of chaos in our busy life but He is till good all the time. He is SOOO good! <3 Thank you for stopping by, MH! Proverbs 3:5-7 has kind of become my life verse. There are SO many ways in which God has led me to trust Him completely. And they always have a different face. The most recent would be family changes as my siblings have gotten older and married--sure it's a good thing, but still a faith-builder! Excellent life verses! I have said those to myself sooo many times! I'm so thankful that God has the heart to help us build our faith, and that He's there for us during those confusing times. Thank you for stopping by, Amanda! Thank you, Toni! I completely adore it, but I may be a little biased. Haha! Thanks for the opportunity to get to know you and win! My pleasure! Thank you for stopping by, Michael! I really enjoyed reading your story. It's truly inspiring. And your book sounds great! To answer your question, yes I have, many times. I think we all have to trust God with our lives, but I agree with you, it's often hard to do just that. I can't wait to read your new book! thanks for the extra giveaway! I've had that feeling before, just have to lean on Him. I can't wait to read your books. Your book looks like one I would love! Yay! :-) That makes me happy! Thank you for stopping by, Amanda! You backstory was so funny! I'm sure when you were going through it it wasn't though! It definitely wasn't!! Haha! But I am very thankful for it. God used it to make us stronger. <3 Thank you for stopping by, Paula!! Oh my goodness! The season you went through is the season I'm in right now, and to be honest, I HATE IT!!!!! This is so encouraging. I'm really excited to read the book now. Love your story! So inspiring and filled with hope! Thank you, Samantha! That is definitely an unnerving experience. I'm so glad God led you to something that makes you so happy! We went through a difficult time these past two years, first trying to adopt my baby sister, then having her taken away. I cried. I raged. I tried to forget. But, little did I know that God had other plans, better plans that involved more than just myself and my baby sister. Nine months after losing my baby sister, we got her back... and a new baby sister. That was when I realized. All that time, all those long weeks and months of anger and sadness and depression... The nine months I couldn't understand were the nine months it took for a tiny baby girl to develop inside a mother who would have aborted her, had she not seen our grieving over my lost sister and carried the baby through to birth for us. And here we are now, my baby sister restored to us and a happy, healthy, even smaller baby sister besides! I'm so glad God works things for our good! Thank you for stopping by, Lucy! That's a hard one to follow - what a story! Your book cover is so clever, Joy - glad you're on board with WhiteFire. Good to meet you here and best to you w/your writing. Years ago when we went through the loss of our daughter when I was pregnant. I was so mad for a year or more. I turned my back on everything. Thank you for stopping by, Cheryl! I'm so sorry for your loss! That is so hard! Virtual hugs! Joy, this book was so much fun to read! This looks like SUCH a fun book. Thanks! Yes, there are many times that I've heard God asking for me to trust him and I'm surely glad to have him in my life. I am so thankful for God! He is my life! <3 Thank you for stopping by, Stephanie! Every time I feel like I'm finally in charge of my life, I get pregnant. LOL. Nothing like a baby to shake up everything, make you realize that God's plan is so so so much better than yours, and make you realize that what you thought was important just... wasn't. Haha! That is so true! :-) Thank you for stopping by, Laurel! All I ever wanted was to be a wife and a mother. The wife part happened with a wonderful man, but the mother part just wasn't happening. God asked me to trust Him. It took a total of 19 years, but we now have 5 fantastic children, all adopted! God is good! Your book is on my TBR list! I love Say Yes to the Dress too. Sometimes it is hard because I can be questioning when I will be meeting my special someone. I have learned to trust God and wait. I do not want to rush into anything without knowing it is God approved. I am so curious about this character. She sound a little bit like me. Yay for Say Yes to the Dress! Haha! :-) That is definitely the right approach to take to the situation, Sonnetta! Thank you for stopping by! Two years ago our family was blindsided by a situation completely foreign to the Christian life that we live. If I hadn't had the assurance that God was with us and in control I don't know how I could have coped. Thanks for sharing some of your story. I look forward to reading your book. I'm so thankful that we have God when our lives dissolve into utter chaos! Now dealing with a terminal illness, I trust God to work all to my good. He has given me a peace about it. I enjoyed your beautiful post, Joy - thanks for the giveaway opportunity!! Thank God for His peace during such difficult seasons! <3 Hugs and prayers! Yes when we took on a 2 year old to raise as our own because his mother is bad news..
Trust...that surrender to God is never easy, even though everything we have is from Him. I have had MANY experiences where I have had to wait things out with Jesus. Have I always done it well...hardly! But our God is forever faithful and it is in casting my cares on Him, that I find peace and rest. Thanks for sharing your story, Joy! Your book sounds like a great read! Thanks too for the opportunity of these giveaways!! !